air joe is proud to serve the Burr Ridge community! We are proud to be a part of this community, serving your heating and air conditioning needs: air joe is listed in many directories under titles such as : Burr Ridge Heating Contractors, Burr Ridge Heating, Burr Ridge Air Conditioning, Heating Repair, Air Conditioning Repair, Burr Ridge Heating and Cooling Contractors, Rooftop HVAC Repair, Ductless AC Systems, Boiler Repair and Burr Ridge Heating and Air Conditioning Contractors. We are here for you whether you need furnace or air conditioner repairs, heating and cooling estimates, equipment replacement or new installation of a furnace, air conditioner, heat pump, rooftop heating and cooling or comfort products to improve the air filtration for your home or business. About Burr Ridge, IL - Happy to be your hometown Heating & Air Conditioning Contractor! The Village of Burr Ridge is located in the Illinois counties of Cook and DuPage, approximately twenty miles southwest of the city of Chicago. Incorporated in 1956, the village is presently home to a population of approximately 10,000 residents who enjoy the beautiful seasonal climate that brings hot humid summers, cold snowy winters, and wonderfully mild weather during autumn and spring to the area. 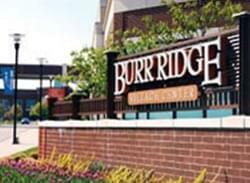 The vibrant and thriving Village of Burr Ridge has much to offer in the way of family-friendly recreation and entertainment. The village hosts numerous community festivals and special events each year, including the annual Classics at the Center car show, Farmer’s Market on the Green, and the ever-popular Concerts on the Green, held Friday evenings during the months of June, July, and August at the Burr Ridge Village Center. The Burr Ridge Parks District manages a number of community parks and recreational facilities, as well as community programs and activities for residents of all ages. Conveniently accessed via Interstate 55 and County Line Road, Burr Ridge is a great place to live or visit in northeastern Illinois!